How to Destroy Angels continue their streak of eerie, well-wrought videos with the clip for "How Long?," which premiered today via NPR. Trent Reznor's group with wife Mariqueen Maandig and frequent collaborators Atticus Ross and Rob Sheridan tapped directing collective Shynola (Coldplay, Beck, Blur) for a video that centers on a glowing-eyed youth in a terrifying, primitive future. The song is throbbing, brooding electronic pop that finds Maandiq repeating, "How long can we keep holding on?" For the rest of us, the answer is "until March 5." 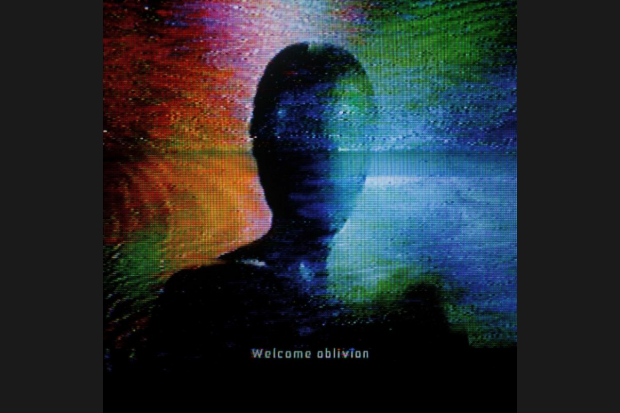 That's when How to Destroy Angels are set to release their debut album, Welcome Oblivion. The group, which will make its live debut at Coachella, also today unveiled the track list and vinyl cover artwork for the upcoming record.Vinyl and CD pre-orders are available through Amazon. And for those still patiently awaiting the return of Nine Inch Nails, Antiquiet has uncovered an intriguing tidbit. An article on Create Digital Music notes that guitarist Adrian Belew, who has recorded with NIN before, "seemed tickled pink by the recent news that he'll tour this year as Nine Inch Nails' guitarist." That would definitely be news to us, but it's something to watch. 3. "And the sky began to scream"
7. "Too late, all gone"
8. "The province of fear"